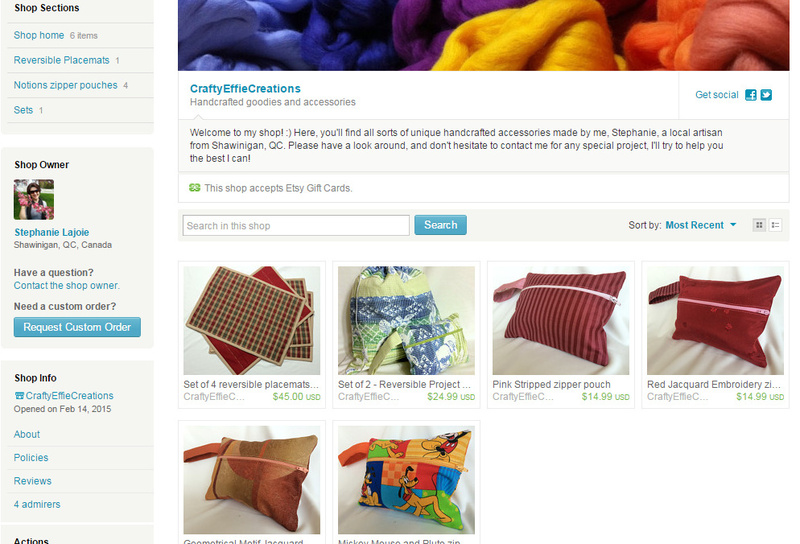 So… I decided to open an Etsy Shop. I know, as if I didn’t have enough projects going on already, but hear me out! I have very good reasons to explain it (or so I think)! This entry was posted in Sewing, Slice of life and tagged art, bag, bags, craft, etsy, fabric, fiber, knitting, notions, passion, placemat, pouch, sewing, shop, stash, zipper.